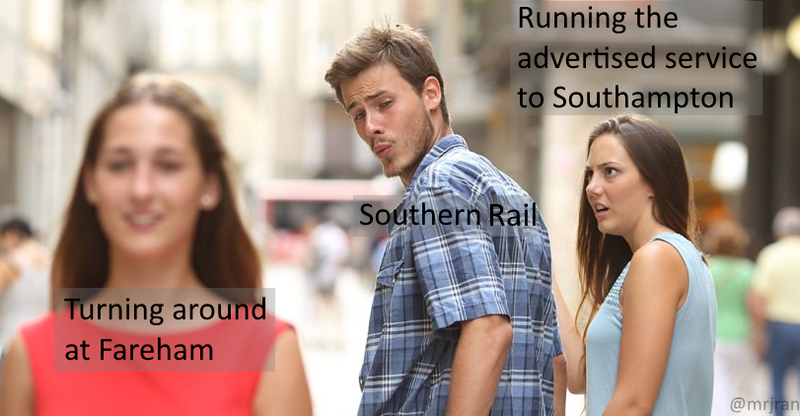 Train memes are great, because you can keep on recycling them. You've heard the joke about the job interview where the driver apologises for being late and gets hired? You've heard about the one who went as a train to a fancy-dress party and didn't show up? I'm sorry to break it to you, but everyone uses these jokes when talking about their own commute. They aren't specific to you. But this one I dreamt up while dealing with a transport problem which is specific to me. I'm sure someone will take it and produce variations for their own region.